Origins. The foundation. We wanted to make a hot sauce that was seriously hot but also a serious sauce. So we took red bell pepper, habanero and jalapeno, and blended in carrot, garlic, ginger and cilantro. Smoky and intense, our original hot sauce brings extra fire to any food, but never burns. The tropics are home to bright, sweet fruits and intense, sultry heat. This sauce captures both, with pineapple, papaya, mango and kiwi bouncing around the spice of habanero chilies and fresh jalapeno. Memorable but mellow, with fresh citrus and garlic for balance, it dances gracefully between refreshing and spicy. In order for me to offer you fast and affordable shipping rates I am using USPS Flat Rate service. In order for you to get the best value I suggest ordering in quantities of three, the small shipping package will hold 1-3 bottles, the medium holds 4-6 bottles and the large holds 7-9 bottles. With winter on its way please keep the temperature in mind. If your package will be sitting outside for any length of time it may freeze and crack the bottle! I am happy to coordinate the shipping day in an attempt to facilitate it's delivery on a more opportune day. Starting on Wednesday August 20th I will offer free delivery service in Manhattan below 59th street and to several parts of Brooklyn. 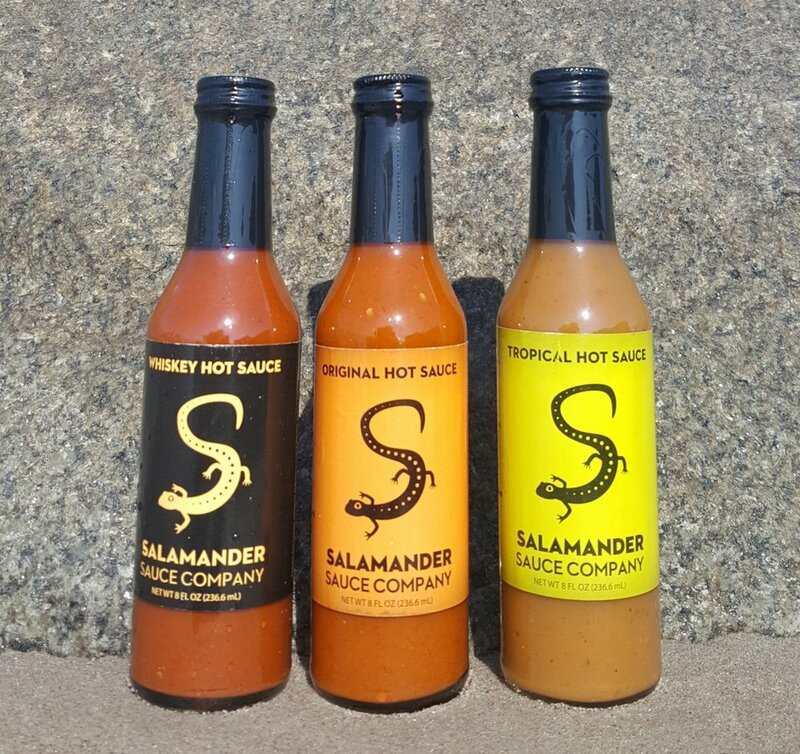 This option will be available on Mondays and Wednesdays, please email me at Info@salamandersauce.com to set up a delivery. There will be a TWO bottle minimum. Depending on time of inquiry and schedule I can not guarantee same day delivery but I will try to make it happen . I will be able to take credit cards on delivery as long as the magnetic strip on your card works I would appreciate some flexibility in time and place of delivery especially if this becomes a popular option. Use them as a marinade, cooking or dipping sauce. Use your imagination and please send us your favorite recipes!